lol tony the babe magnet btw, happy birthday aniholic my new rival! Thank you for your wonderful greetings guys! and Happy Birthday Tomo!!! Happy Birthday to aniholic and Tomo! 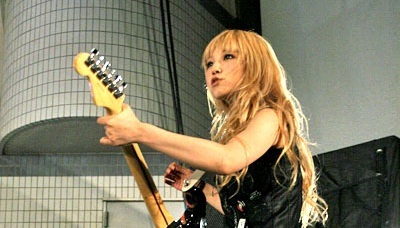 Happy birthday to Tomomi Ogawa our cute bassist.. Happy Birthday aniholic ! and Happy birthday Tomomi ! To the lucky ones who happened to have the same birthday as our girls......HAPPY BIRTHDAY!!!!!! Happy Birthday Yhanik! Have a nice day today!